Textile or fiber art may conjure up images of garments, quilts, ritual and ceremonial cloths, but artists are increasingly using the medium for works comprised of materials not woven on looms. 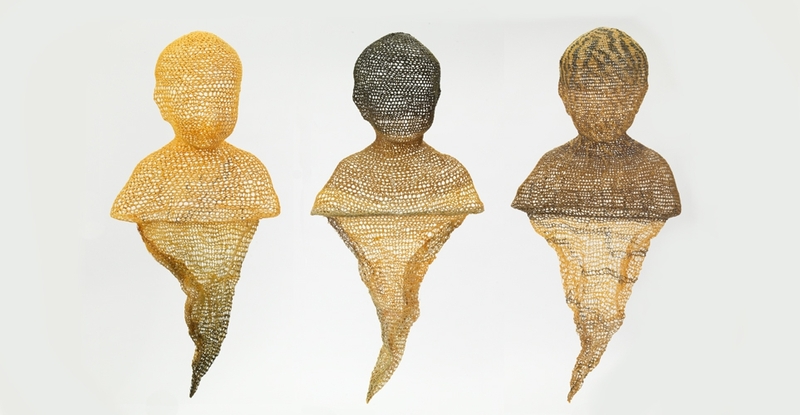 Contemporary fiber art is an enormously diverse field that can involve non-woven elements (paper, leather, paint, wood) and include sculpture, as well as two-dimensional forms. Papermaking, stitching, and assemblage are among the techniques revealed in this exhibition of works by Olga de Amaral, Norma Minkowitz, Joan Livingstone, Ferne Jacobs, Barbara Cooper, John Davis, and several other artists.